Following a consultation of several agencies, Comté cheeses, represented by the CIGC* , have tasked Sopexa with orchestrating their communications strategy in Belgium for three years. to boost awareness and consumption of Comté in Flanders, the kingdom of Gouda where only 3 in 10 consumers claim they know of Comté. to continue to cultivate the reputation and knowledge of this cheese in Wallonia and Brussels, where it already enjoys long-standing popularity with consumers. To woo consumers, the communication campaign designed by Sopexa will position Comté as the perfect companion for any occasion, particularly handy for two of the favourite types of cheese consumption in Belgium: as a snack and as a “pleasure” food to be shared and enjoyed with others (for example at aperitifs, dinners and weekend picnics!). 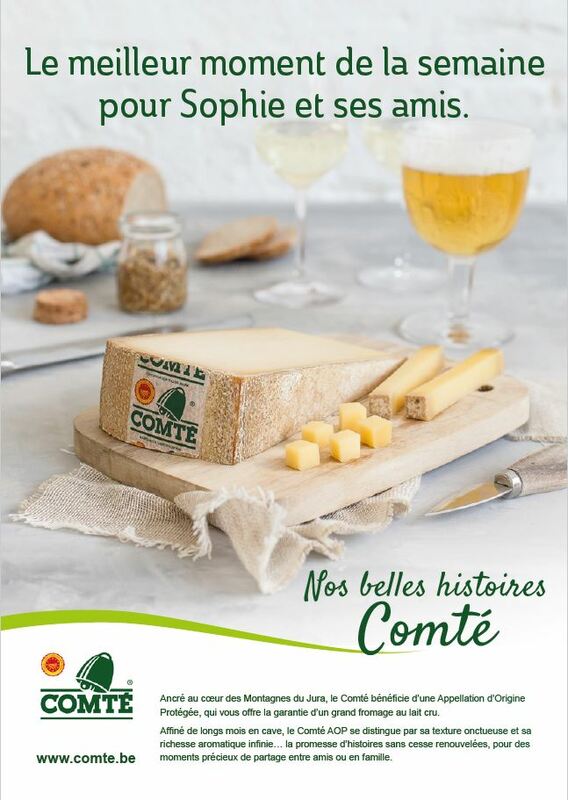 The leitmotif, “Our Beautiful Stories with Comté”, will be rolled out through a comprehensive programme to include events, tastings at popular outings and at specialty cheese retailers, a radio campaign and a press relations drive. As well, a digital campaign will feature a redesign and management of the Internet site, community management, brand content and much more.